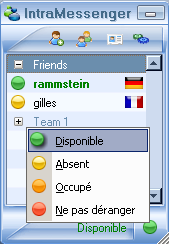 IntraMessenger • View topic - [Solved] Difficult to install a serveur (under Windows) ? [Solved] Difficult to install a serveur (under Windows) ? You dont have success to install (IntraMessenger on) a local web server with Wampserver and follow documentation : install_im_server_beginner.pdf ?